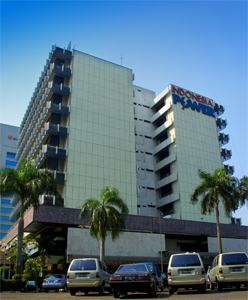 JAKARTA, Dec. 4 — PT DSSP Power Sumsel, a subsidiary of Indonesian conglomerate Sinar Mas Group, secured a 3 trillion rupiah (about 312.7 million U.S. dollars) of loan on Tuesday from the China Development Bank to finance its coal-fired power plant in South Sumatra province. The loan would be used to procure equipment, power machines from the China National Electric Engineering Co. Ltd. for the Indonesian company’s 2X150 MW coal-fired power plant. The project, worth 400 million U.S. dollars, is scheduled to commence operation in 2015.